As most students of philosophy know, Plato in the Apology describes Socrates’ relationship to the Athenian political scene as that of a gadfly; that is to say, as that of an uncomfortable goad to a slow and dimwitted horse. 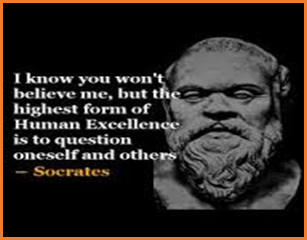 To put it in more philosophical terms, Socrates was in the inveterate persistent habit of challenging taken for granted assumptions by the powerful of his society and the accepted status quo with novel and upsetting questions. Many in Athens found Socrates’ dissent quite irritating. They would have rather have overlooked those questions. Eventually they decided to swat the irritating gadfly and charged him with corruption of the Athenian youth and impiety toward the gods. Plato has Socrates say in his defense that silencing men like him was easy but the cost of depriving society of those men could be quite high. Socrates says that “If you kill a man like me, you will injure yourselves more than you will injure me." He considered his role as that of a gadfly, "to sting people and whip them into a fury, all in the service of truth." From then on, the word gadfly has been used in a pejorative mode by those who like the status quo, and in a positive sense by those who wish to describe honorable civic duty. The former, in fact, consider polemics in general as healthy for any polity, especially one that considers itself as democratic and egalitarian and practicing free speech. So, Socrates was a contrarian of sort. 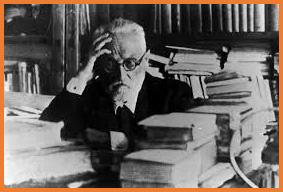 Given that he shaped the original paradigm of Western philosophy, we could safely state that integral part of any philosopher worth his/her salt is that of challenging assumptions and being a contrarian, or a gadfly. To be a great philosopher means to challenge how people live their lives and persuade them that they need to change. 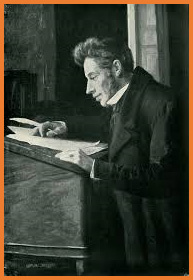 In fact, if a philosopher keeps you awake at night and you are afraid that he/she may sting and irritate you, you may be quite sure that you are dealing with a great philosopher and should pay attention. When teaching philosophers I often remind my students that if they find some of the philosophical assertions of Socrates unsettling, then I am doing my job in presenting him truthfully. Thank you very much for your article Emanuel,I enjoyed it immensely,and you pose an appropriate question.Whether one simply lives in today's age mechanically like a dumb beast,or to look in the mirror and ask those awkward uncomfortable questions that stirs the tepid muddied waters of our existence so that we may be better able to fashion for ourselves a better,authentic existentialist reality that is honest and real.The road to reality and salvation begins with these uncomfortable questions I think. I think of Ivan Illich as another such gadfly. Gadflies are not simply contrary. Behind every "No," there is a "Yes" lurking and gadflies have a way of goading us on to search for the "Yes." Gadflies are sometimes mistaken for purely negative people. You have done well in pointing this out.